TORONTO-listed Lucara Diamond Corporation is to sell its first diamonds through propertary cloud and blockchain technology in November with a number of manufacturers and jewellery houses having signed up for the process. The company said in an announcement that the technology – known as “Clara” – would replace inefficient diamond sales through tender. It would also enable the company to sell third party diamonds as well as goods from its Karowe mine in Botswana. “Clara is a scalable business solution for the entire diamond industry that is long overdue and necessary to modernise, streamline and increase consumer confidence in the marketplace,” said Eira Thomas, CEO of Lucara Diamond Corporation in a statement. “The platform has received strong interest from the diamond community and we are delighted to have secured excellent partners, consisting of leading diamond manufacturers and jewelry houses,” he added. A digital fingerprint of each rough diamond is created and uploaded to the Clara platform with a corresponding asking price, said Lucara. 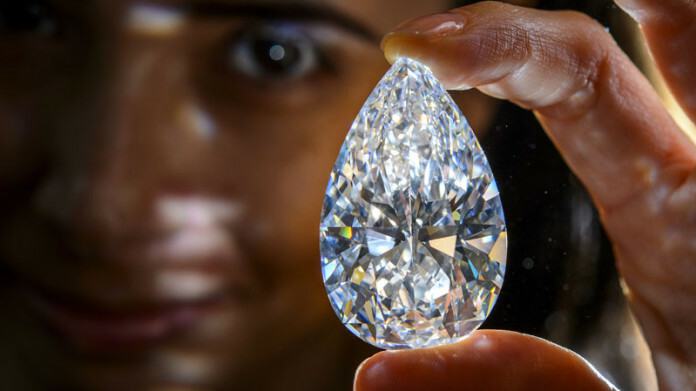 Simultaneously, diamond buyers upload their specific polished diamond requirements in terms of size, cut, color and quality, including their desired purchase price, creating an ‘order’ within Clara, it said. Clara uses proprietary analytics to match individual, scanned rough diamonds to the buyers’ optimal polished requirements. Clara earns the differential between the asking price and purchase price of each match as its revenue and requires a minimum transaction spread to facilitate an optimal match.